So if you haven't been keeping up with my insta-shananigans, then you probably don't know about my DIE-SUMMER/LONG-LIVE-FALL obsession. Pumpkins, bright orange, cinnamon on every thing, BOOTS (! )...lets just say it's a magical time of year for me. Ironically, I broke/sprained (not sure yet) my toe when I tackled Pascale's new puppy (more on that soon), so sandals it is! Fall's trend lineup is out of control though. There are so many wild prints, unique color combos and, most importantly, LAYERING that is making me lose it over here. One of my fall fav's would have to be the lovely plaid print, (probably because of all the back-to-back Sons of Anarchy seasons I've been watching...Jax Teller really knows how to werk some plaid and leather). 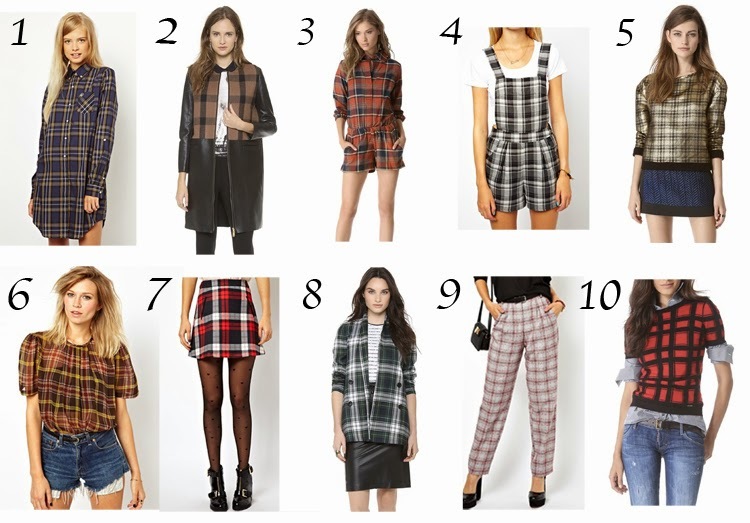 As you can see in the collage above, you can do plaid with any garment, even overalls. And colorways are not limited, so go for whatever tone you like. Let this be your main print in your outfit and balance it out with different solids like denim or leather, and accessorize with outerwear pieces, scarves, and fun jewelry. 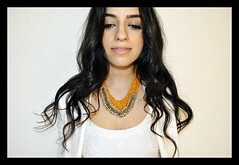 Whether it be 90's grunge, lumber-chic, or biker babe...you really can't go wrong with this look. great post, LOVE plaids and tartans! my favorites are #3,4,7,&8.